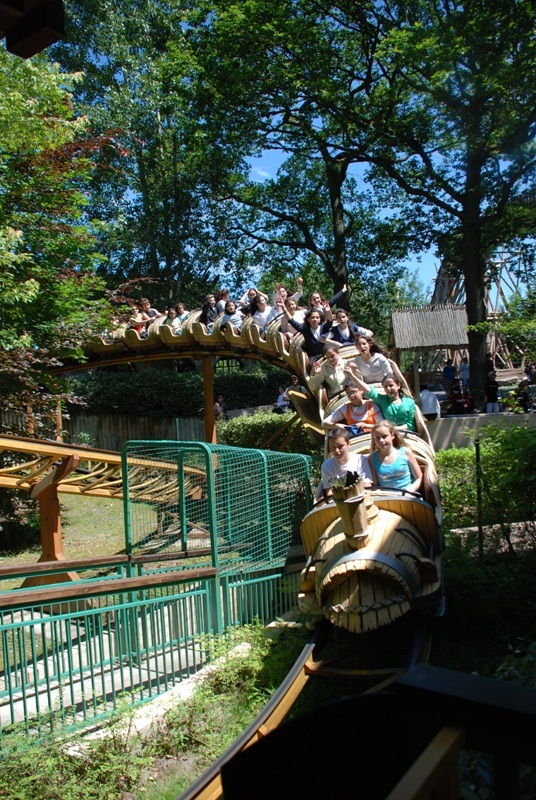 Tonnerre de Zeus (a CCI woodie) is not only the best coaster in the park, but also one of the Europe's best-ranked wooden coasters. OzIris is the major steel coaster in the park, not the strongest B&M, but still a fun invert. Then, there is also Goudurix. 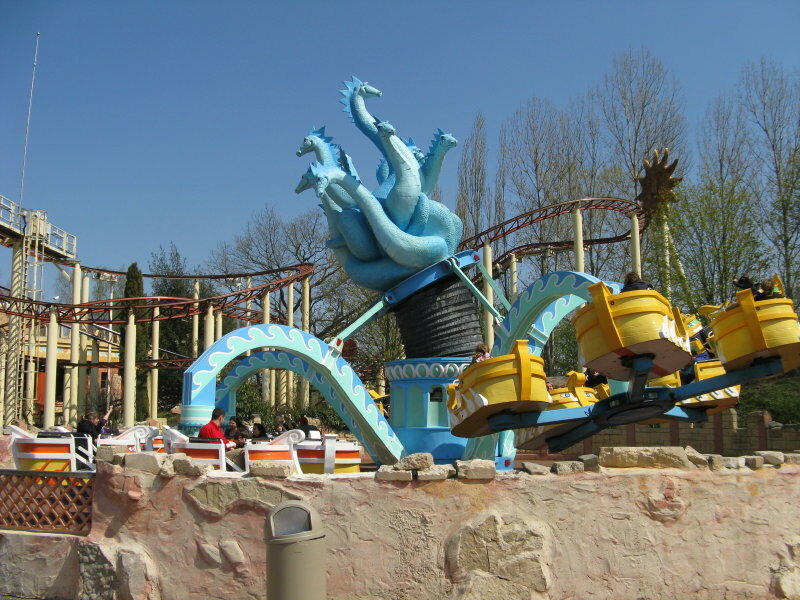 Enthusiasts do not like this Vekoma. Unfortunately the French do like it, causing long lines. 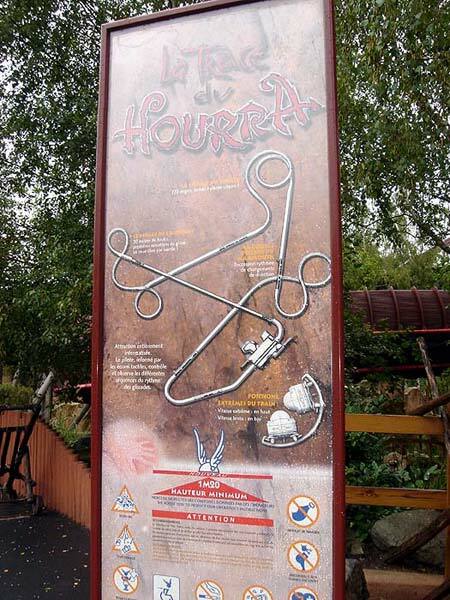 Also, try to ride the low-capacity bobsled coaster (Trace du Hourra) early in the day; it's a lot of fun. Vol d'Icare provides a couple of unexpected pops of air if you don't hold on. 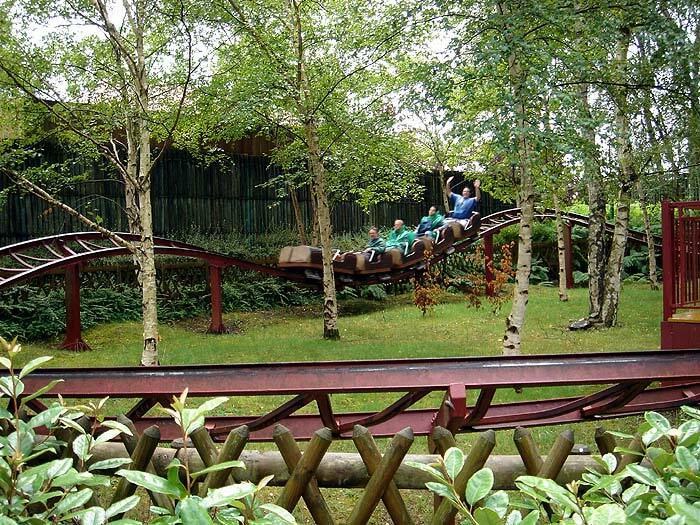 Pegase Express provides unique launches in a family coaster. 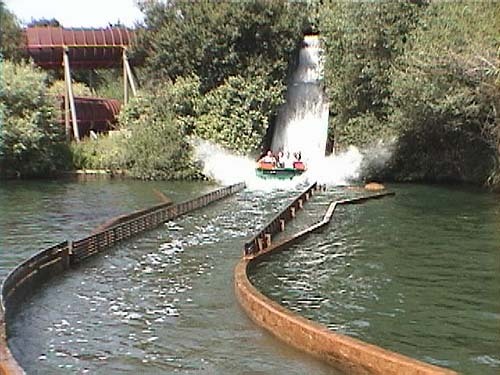 Besides the coasters there are four water rides for the hot days (flume, splash boat, rapids, and spinning raft ride). 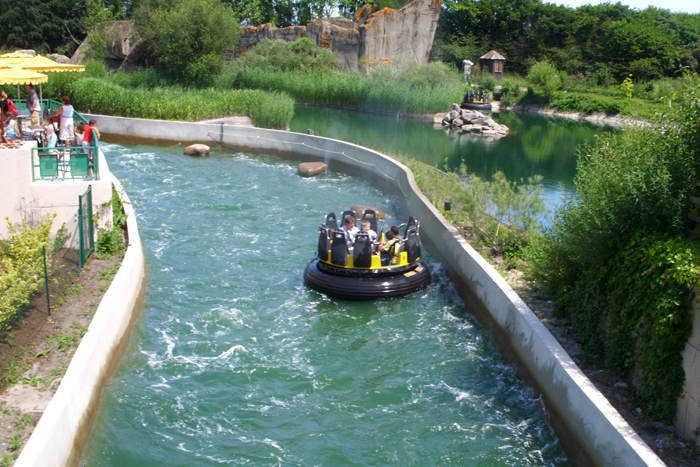 Two attractions not to be missed are the lengthy dark ride (Transdemonium) and Le Defi de Cesar. 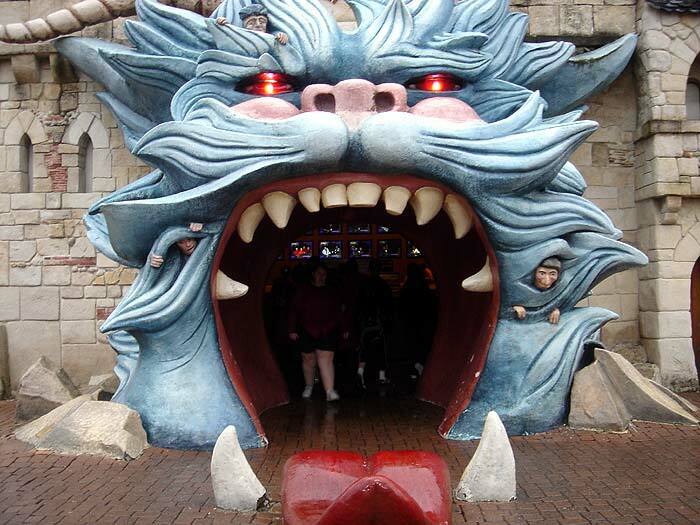 Le Defi de Cesar (by Mack) is one of the best themed and most interactive Mad Houses. The park has many stands offering sandwiches and hot dogs for those on the go. About a half dozen sandwich shops offer additional sandwiches and crepes. It is always good to try a crepe when in France. There are additional sit-down restaurants, some with counter service, some buffet, and some with full table service. The pizza at Caius Pizzarium is very good. Pizza is prepared to order so expect a 30-minute wait. Always check the official park schedule, but the park is generally open on most days from April through August, weekends in September/October, the week before Halloween and the last two weeks of the year. 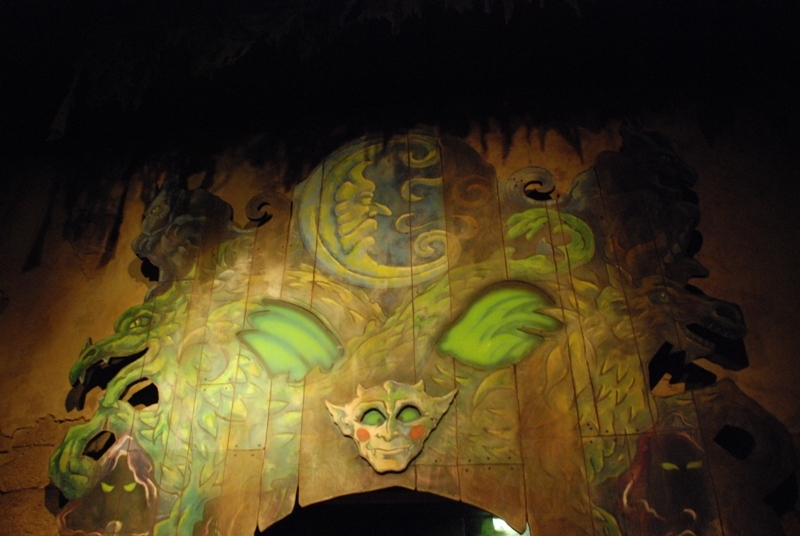 The park's Halloween event runs for only two weeks at the end of October. 30 km North of Paris. A1 Paris/Lille motorway, direct exit Parc Astérix between #7 and #8. Shuttle-bus service is available from the Louvre or De Gaulle Airport. Direct Paris / Parc Astérix Shuttle Bus - From the Louvre museum 99, rue de Rivoli - coach park -"Palais Royal" metro station. Regular Aéroport Charles de Gaulle / Parc Astérix shuttle Bus - Departure every 30 minutes, at the bus station (platform A3). The park has three different shows with actors in addition to a dolphin/sea lion show. Although not a traditional show, there is an area where live artisans create their wares. 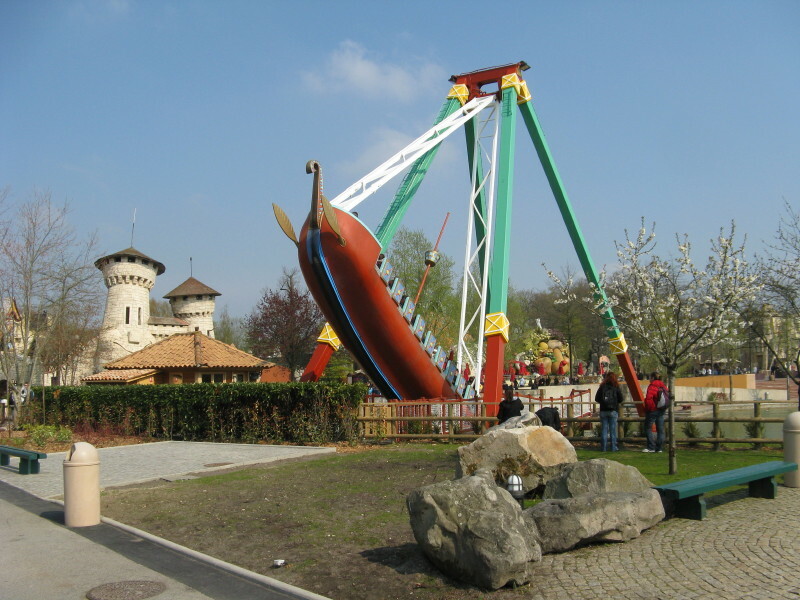 Parc Asterix is themed around a French comic book hero (Asterix) who helps thrwart Roman advances against ancient Gaul (France). 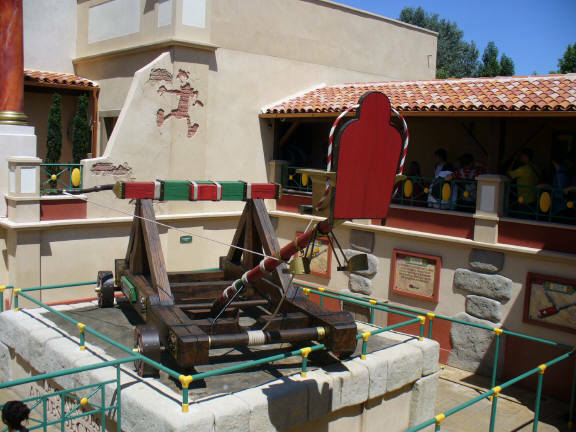 You enter the park through a main street area that is lined with shops with decorated facades to simulate the Roman Empire era. 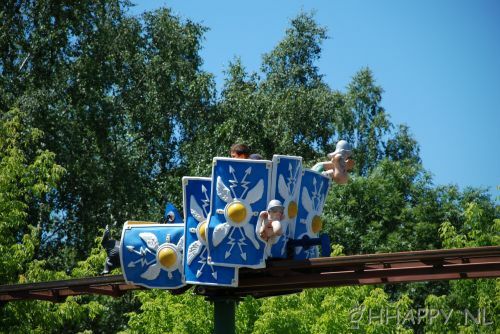 All throughout the park the adventures of Asterix dominate the theming. 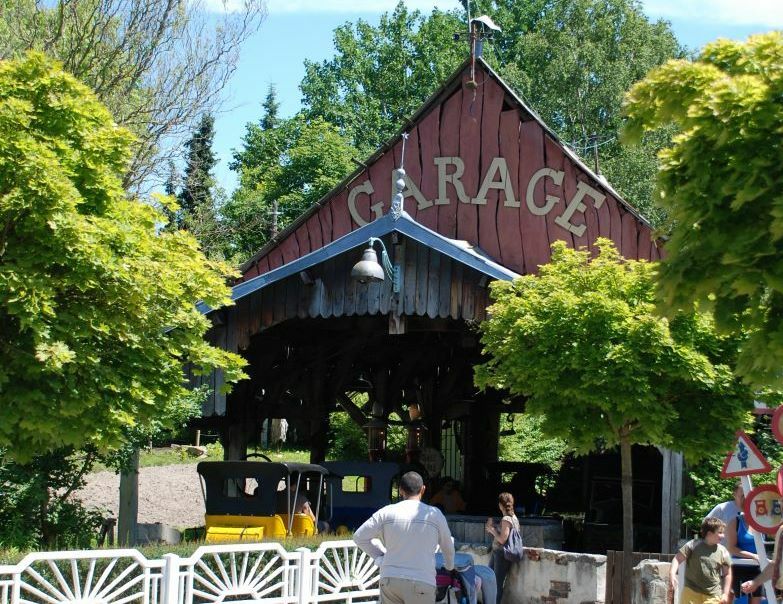 The lineup consists of mostly family-oriented rides, a couple of shows, and a live artisan area where craftsmen makes their wares. 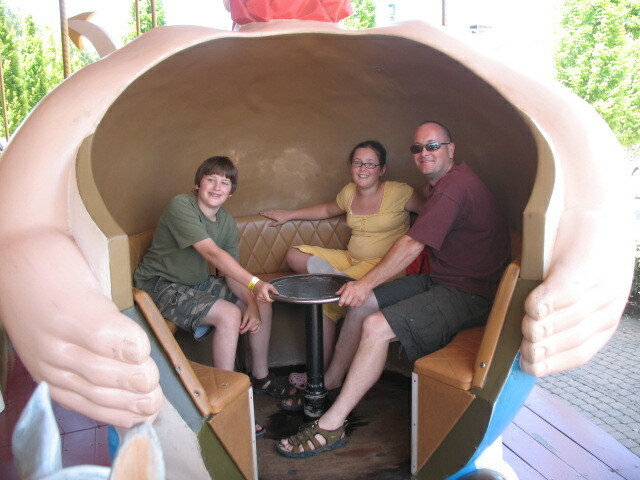 It is a fun place for a family to spend the day. 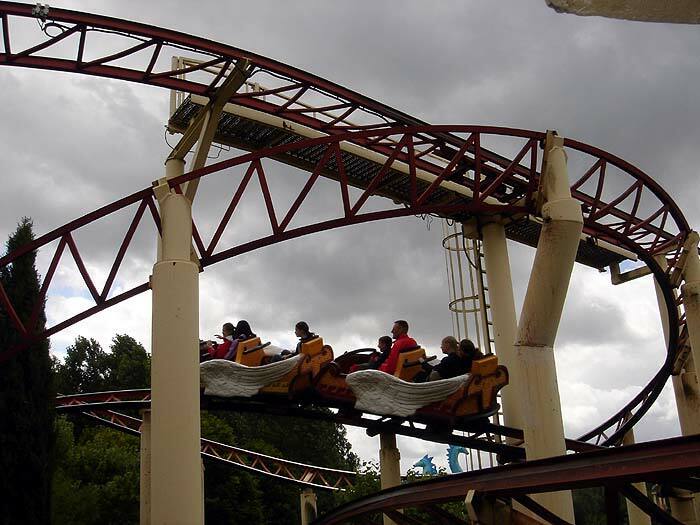 From a thrill standpoint, there is only two major coasters, but a few of the other rides have unique characteristics. 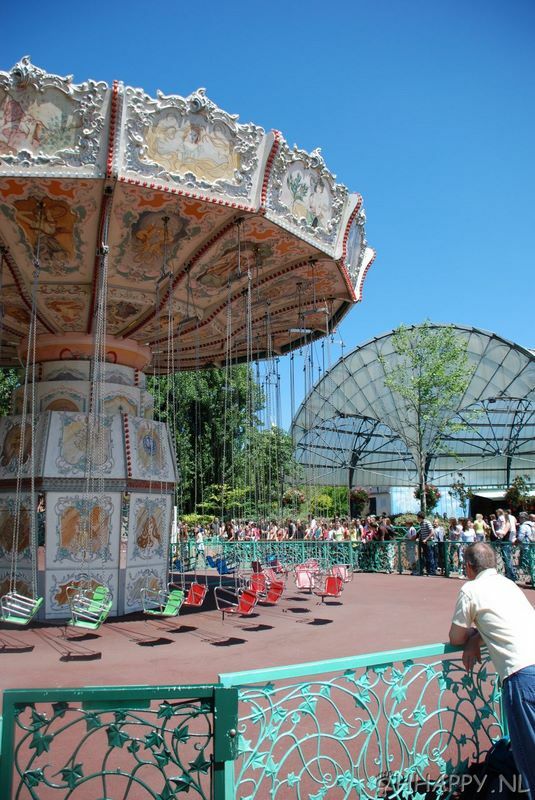 Rude guests could be a problem but that seems endemic to the French park goers attitudes. Two very intense coasters - Oziris is in fact an extremely underrated B&M Invert. 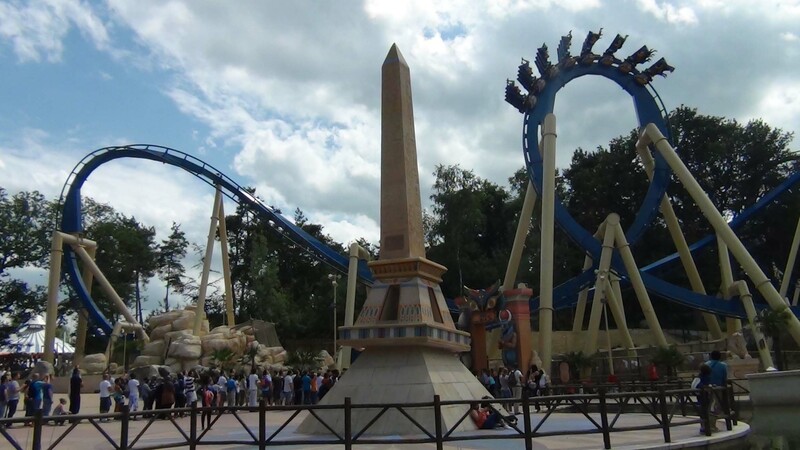 The park itself looks good, however there isn't much to do there other than these 2 rides. 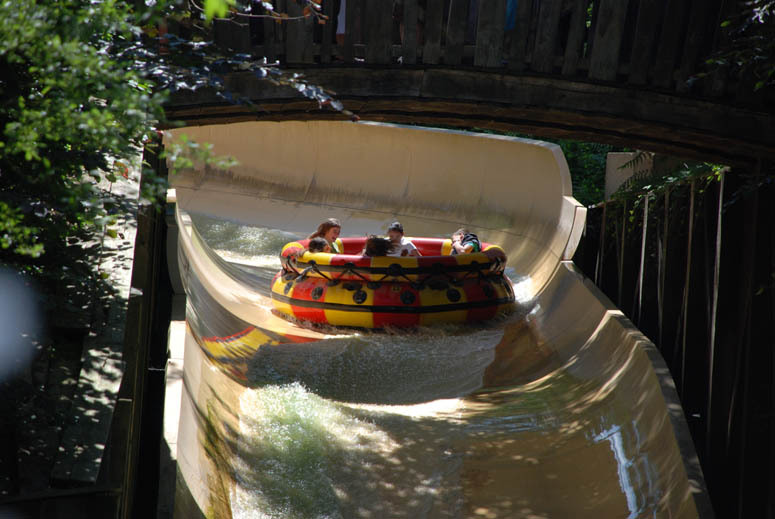 The few flat rides and log flume can have very long queues. Don't waste your time on them and go straight to the big coasters, especially Oziris which is close the entrance of the park. Unless you are extremely curious don't try Goudurix. It's a painful experience. I attended the park before 2012 so can't take the new rollercoaster into account. The park was fun and I did have a great day but it wasn't particularly well maintained and the staff quite unhelpful. 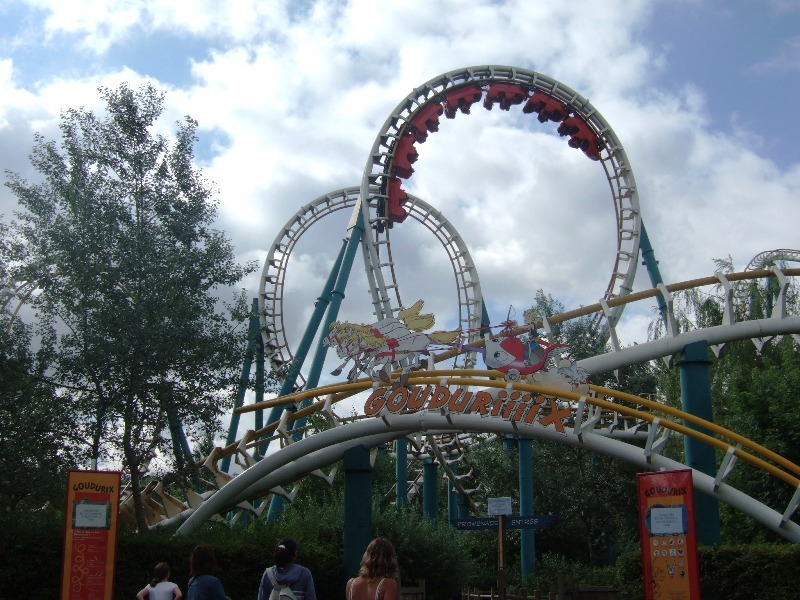 Tonnerre de Zeus absolutely made the visit totally worthwhile, best ride in the park by a clear mile absolutely cannot fault it, on the other hand Goudurix was exactly the opposite, rattly, painful and disorientating made it totally unenjoyabe. Other than those 2 most of the rides were generally quite average. 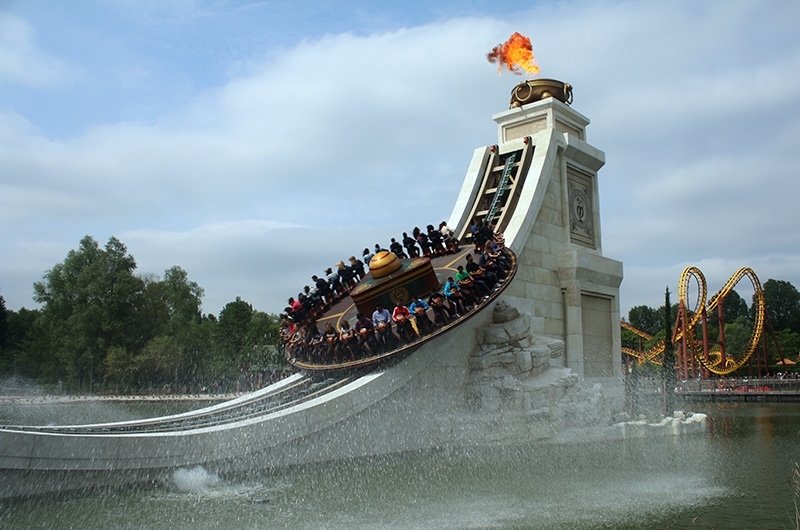 Honestly, Parc Asterix is a beautiful park that is well themed and has a solid collection of both coaster and non-coaster attractions. 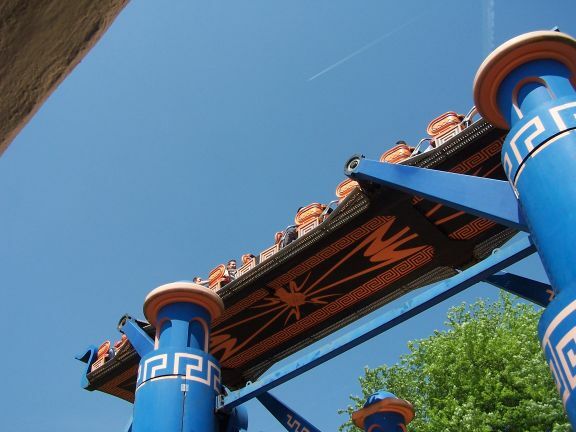 Tonnerre de Zeus is truly a stand-out coaster, in my opinion it's the best of the "CCI" style coasters (great airtime, strong laterals, doesn't have the fancy maneuver's of today's more recent wooden coasters, but it still gets the job done). 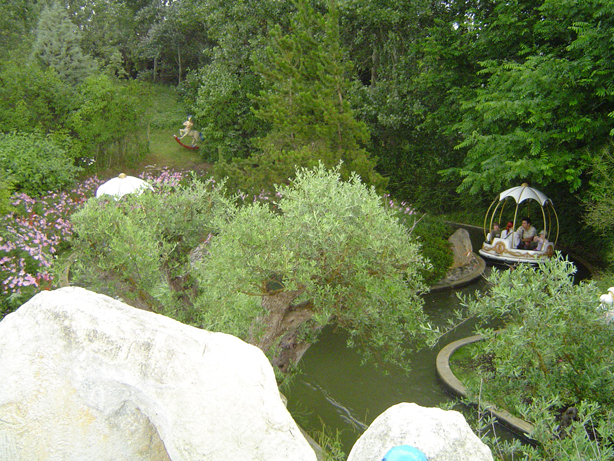 Much like Disneyland Paris, the park's biggest problem is the French concept of service. Operations are slow, the employees seem to not be fond of tourists, and wait times can be long. 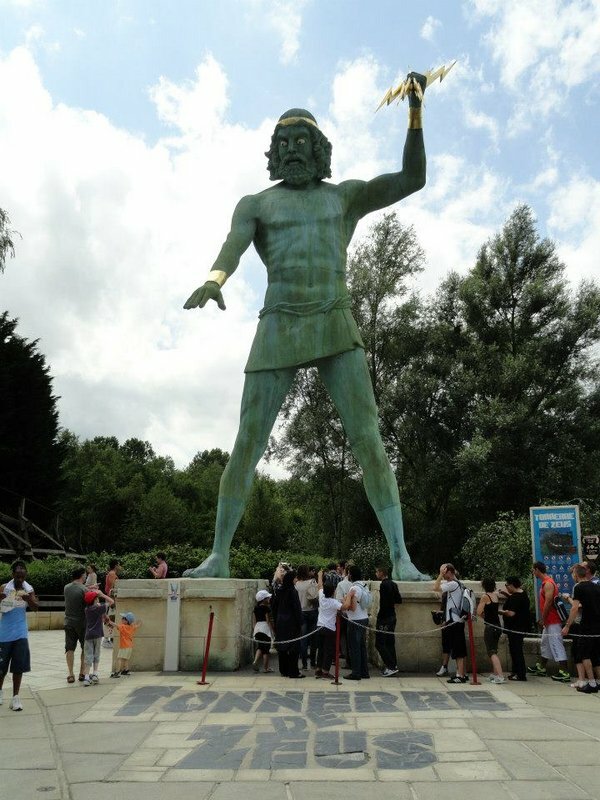 Even so, it's still a great park that's worth a visit! Well first you must know that Parc Astérix and Disneyland Paris are my home parks. 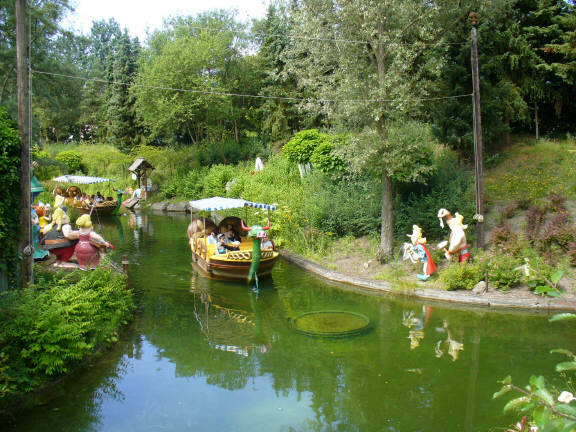 I clearly prefer sterix than Disneyland because I think Parc Asterix's theming is only a bit less beautyful than Disney's one , but there are some awesome rides. 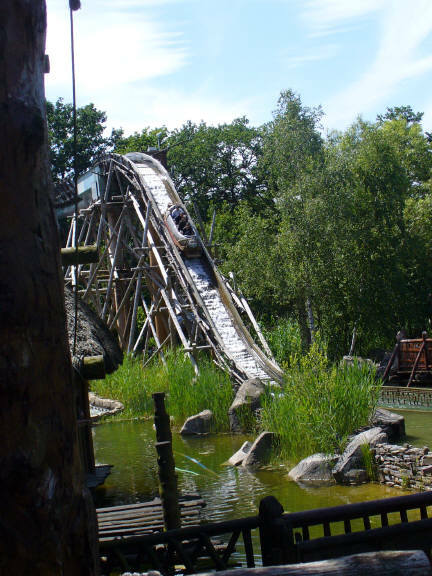 First, there is Tonnerre de Zeus, which is an impressive fast airtmed wooden coaster; there also are many other good rides such as Menhir Express the incrediblely soaking flume ride. With the 2012 B&M inverter, this independant park will be unmissable. One of the worst steel coasters on the planet. On a hot summer day the place can be mobbed.